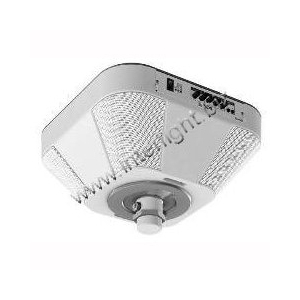 The Infrared (IR) pendant microphone makes it easy and convenient to amplify the speaker's voice, so as to keep the audience's attention. It hangs around the neck for hands free use via the adjustable strap. Using this amplification helps avoid vocal strain and ensures all in the room can hear the presenter. This microphone has an audio input jack, which works seamlessly with an iPod or MP3 player.